Adult Piano Adventures. Arranged by Nancy Faber and Randall Faber. Adult Piano Adventures. Educational, Christmas. Softcover Audio Online. 80 pages. Faber Piano Adventures #FF1370. Published by Faber Piano Adventures (HL.420248). 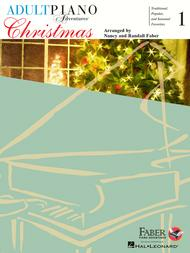 Nancy and Randall Faber introduce their first supplementary publications to the Adult Piano Adventures! series. 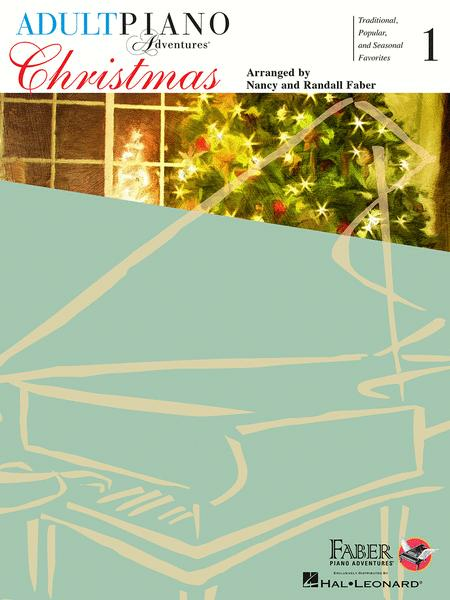 Christmas for All Time, Book 1 features three sections: Beginning Christmas Songs, Christmas Songs in the Key of C major, and Christmas Songs in the Key of G major. Traditional favorites include: We Wish You a Merry Christmas, Silent Night, The Twelve Days of Christmas, and much more. This title has selections that range in difficulty from SMP Level 0-1. I am a beginner and find this book very good. The arrangements are great. It is not too easy and not too hard. This book has all my favorite Chrismas songs. They are easy playing for early intermediate players. You will enjoy mastering each song and moving on to the next.